Up to 19 people have been killed and more than 30 injured after Israeli military attacked a flotilla carrying humanitarian aid to the Gaza Strip, international media report. Russian news agency Itar-Tass reports that the death toll on Monday noon was about 19, referring to Sky News channel. According to Israeli media, Israeli soldiers are also among those injured. Early Monday morning the Israeli navy intercepted the fleet of ships about hundred kilometers off the coast of Gaza. They sent out warning signals for the ships to turn round. A detention center has been established in the southern Israeli city of Ashdod to hold those activists who refuse to turn back. Israeli forces insist that they want to check the cargo aboard. Two of the six ships of the flotilla were towed to the Israeli port of Ashdod, reports news agency Itar-Tass. All those who were aboard are being interrogated by Israeli special services. Later they are to be deported, says the agency referring to Israeli TV. The press service of the Israel Defense Forces confirmed the boarding on Monday morning and said 10 people were killed in the process. The service also said 4 Israeli servicemen were wounded as the passengers aboard the flotilla offered resistance using edged weapons and firearms against Israeli border guards. The Free Gaza Strip society, one of the organizers of the flotilla, refuted this information via their Twitter account. The organization says that Israeli forces opened fire on unarmed civilians once they boarded the ship. 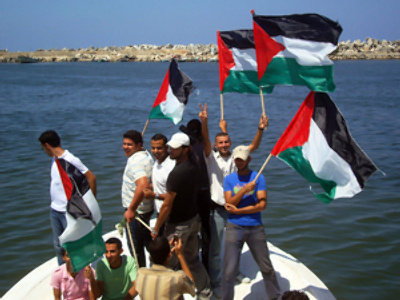 The international flotilla is an effort aimed at lifting the blockade posed on Gaza by Israel three years ago. The ships are carrying 10,000 tons of badly-needed humanitarian aid. Earlier, Israel vowed to stop the vessels. Israeli authorities have treated the flotilla entering the Gaza region as an act of provocation rather than a humanitarian endeavor. Israel claims it lets enough aid in to the Gaza region on a weekly basis, but international activists insist that the situation in the region is a humanitarian disaster. Palestinian President Mahmoud Abbas called the Israeli seizure a “mass murder”. A three-day mourning has been announced in the country. Former Palestinian Minister of Jerusalem Affairs Ziad abu Ziad said that the attack on the flotilla is an attempt by Israel to bully the Palestinian people. Hamas has called on the international community to step in and impose tough sanctions on Israel. “It is a crime not only against the Palestinian people, but also against humanity,” said Taher An-Nunu, spokesperson for Hamas, as reported by Itar-Tass news agency. Dr.Faysal Abu Shahla, a member of the legislative council of the Fatah movement, said the recent attack showed what the state of Israel is like. The international community has voiced its concerns over the incident. The European Union has demanded that Israeli authorities launch a detailed investigation into the incident. Catherine Ashton, High Representative for Foreign Affairs and Security Policy, called Israel’s policy towards Gaza “unacceptable” and “counterproductive”. She called for an immediate lifting of the blockade. The League of Arab States is calling for an emergency meeting on Tuesday. It is expected that at the meeting the Arab States will elaborate a common stance on Israel attacking the international flotilla. Secretary General of the League Amr Moussa said that the incident is “a clear message from Israel that it does not want peace,” reports news agency Itar-Tass. 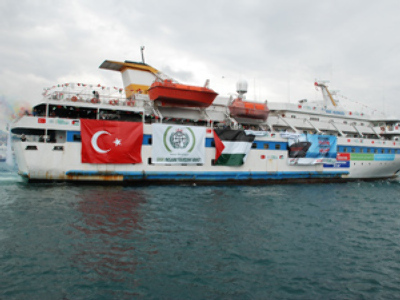 Turkish Vice-Prime Minister Bulent Arinc has announced that Turkey is recalling its ambassador from Israel following the attack on the international flotilla. The Foreign Ministry of Turkey, whose citizens were among the international activists, has condemned Israel. 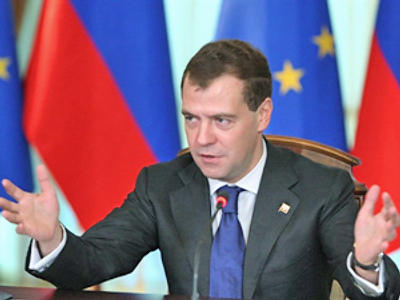 It stated that the incident might lead to “irreparable repercussions for bilateral relations". Thousands of Turkish protestors have stormed the Israeli consulate in Istanbul. Iran has condemned the attack, while the Swedish Foreign Ministry has asked the Israeli ambassador to comment on the incident, as several Swedish citizens are aboard the peace flotilla. The Israeli Ambassador to Greece received a note of concern from the country’s foreign affairs department. German Foreign Minister Guido Westerwelle called the news shocking and said his department is trying to find out what really happened off the Gaza coast. Konstantin Kosachev, head of the Russian State Duma Foreign Affairs Committee, said that the Middle East Quartet should hold an urgent meeting to elaborate on the questions to pose Israel over the incident, reports news agency Interfax. Radmilla Daniell, a pro-Gaza activist, told RT that so far it has been impossible to establish contact with the international activists onboard the ship. Ismail Patel, a representative of the British Muslim Initiative who is onboard the flotilla, called upon Britain to help stop Israel in its attempts to disrupt humanitarian efforts. “Israel has yet again breached international law,” Shamiul Joarder from the Friends of Al-AQSA movement, which helped organize the flotilla, told RT. He said that all those who believe in humanity and justice should see to it that Israel is held accountable.